A boat cruise up the Adelaide River to see wildlife and the famous jumping crocodiles. 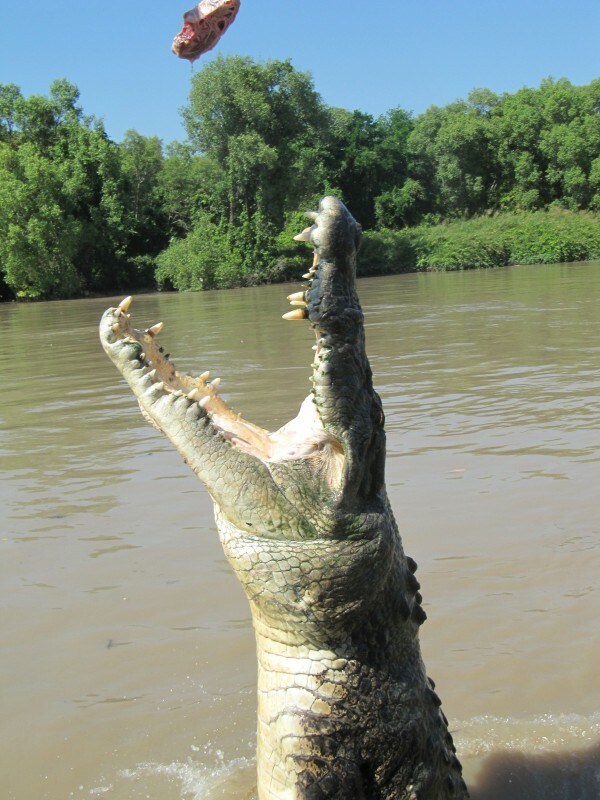 There are three of these businesses that do crocodile cruises all within close distance to one another. This was bills itself as the 'original cruise'. Due to a tight timetable we wanted a cruise at 10am and the others only had 9am and 11am so we ended up here. The onshore facilities are very good, cafe and small kids play area and space to move and play. We paid for our 16 year old exchange student to go alone as we had already done it. I paid the adult rate for him as he was over 15. I asked if there was a full time student rate and was told no. Then when he went to board I was questioned as to his age and she expressed doubts that he could go alone due to his young age being under 18!! I think that if they want him to pay an adult fare then they need to be happy to have kids that age without another adult. He was allowed to go alone and the cruise itself was good for him - he got to see some wildlife and jumping crocodiles. We waited in the cafe which was ice but had the most expensive coffee in Australia at $5.50 and frozen cakes for $7.50! A complete rip off. All in all, an Ok experience but I have heard better things about the customer service at the other cruises so since they are all pretty much the same, I would chose another. But is a great experience for all the family - kids over 2 I'd say.